You wanted more access to theater and we listened. 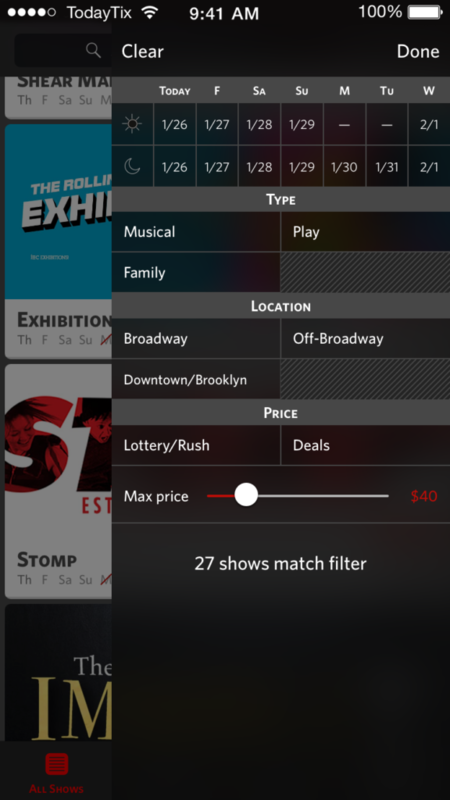 Introducing TodayTix 2.0: the latest iteration of our app created in collaboration with our users. Update your app to experience all of what’s new. Now that you’re ready to go, let’s take a look at the new features. Making decisions is hard. Not sure what to see? 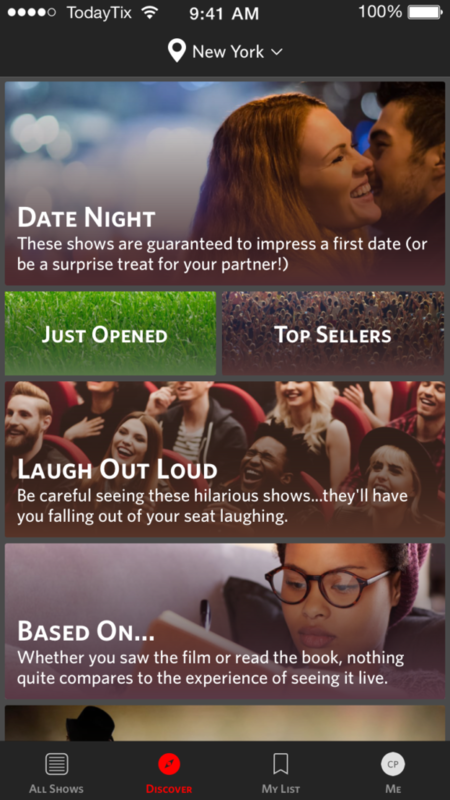 Discover guides help you pick the perfect show, without having to even tap into them. No excessive brain power needed. With My List you can now keep a list of shows you’re interested in seeing. Pro tip: rearrange the items in My List by holding down on the show until it highlights, then moving it to the new location. Better filters & improved search. Filtering your search is more flexible and powerful than ever. Plus, get quick access to your recent searches. 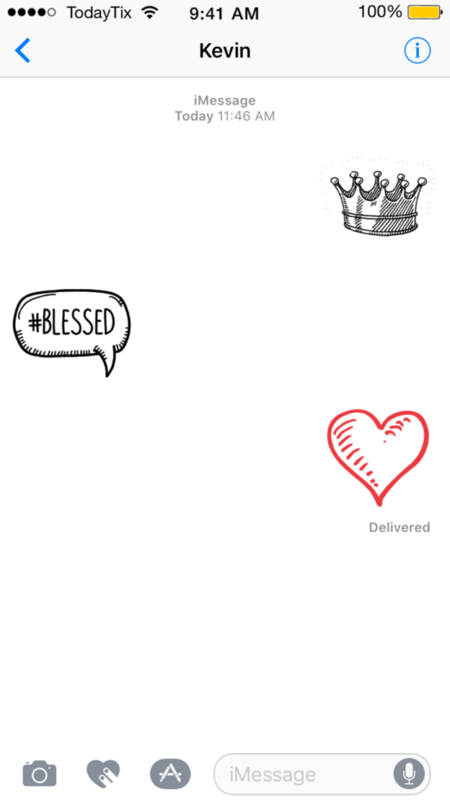 When words fail: say it with a sticker. 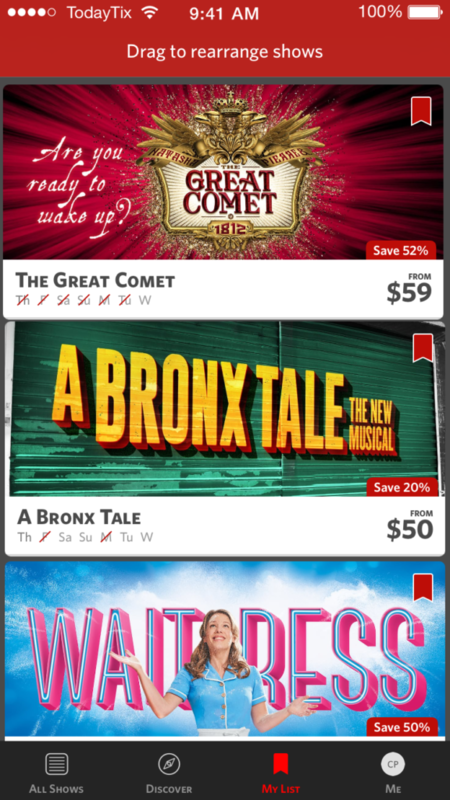 To turn on stickers, just tap the Store button in iMessage -> Manage and turn on TodayTix. 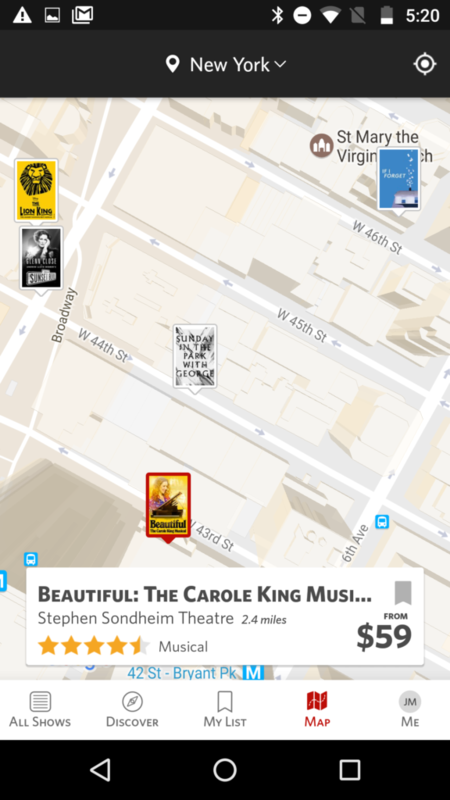 Quickly see what shows are playing nearby in one easy to find place.